The biggest thing that happen today was Jackson was moved to a crib instead of a warmer. This is a big deal in NICU. 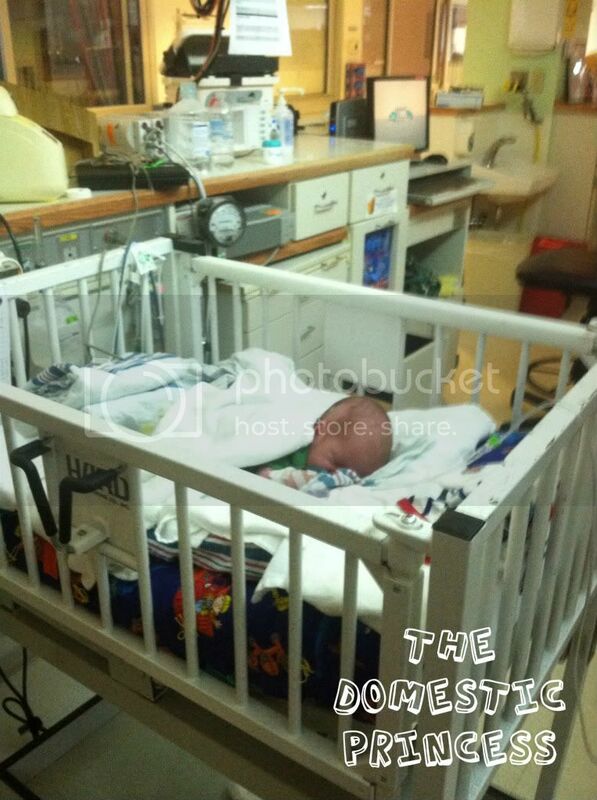 St. Ann's Hopital has volunteers that make quilts for the babies so they used that on the bottom of his crib. Jackson's is Bob the Builder fabric. 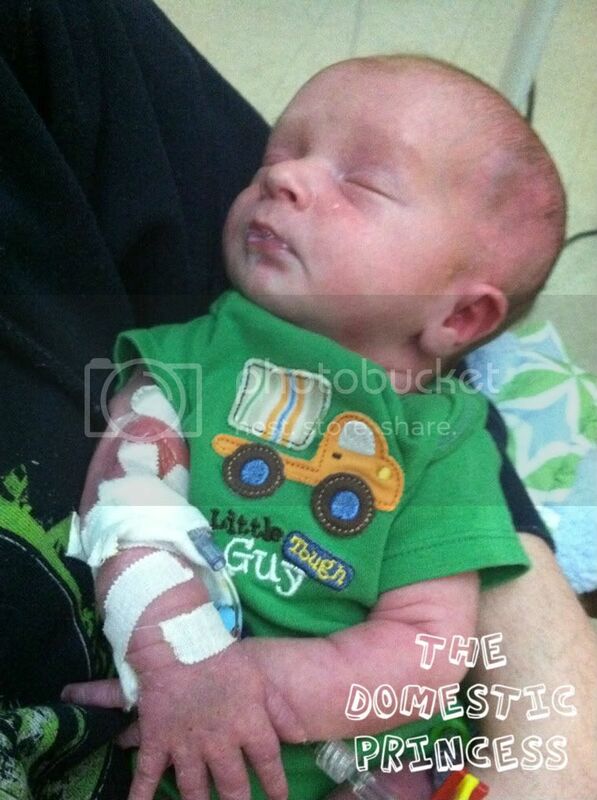 His nurse Kim told us yesterday that we could bring in our own clothes for Jackson. Also a big deal in NICU so today I thought this shirt would be appropriate. It says "Little Tough Guy"
The Nurse Practitioner did come talk to us this morning when we arrived because Jackson had one low blood sugar (45) last night. They are thinking it might be the new medicine so they want to talk to the Cardiologist about lowering the dose. Every blood sugar he had while we were there today was normal. To keep his blood sugars level they have also increased the calories in his formula so he is getting 24 calories/oz instead of 20 calories/oz that are in the Similac Sensitive. Tomorrow he will see a Hematologist and a Geneticist. Chris and I want to get there early to make sure we are there while the doctors see him. 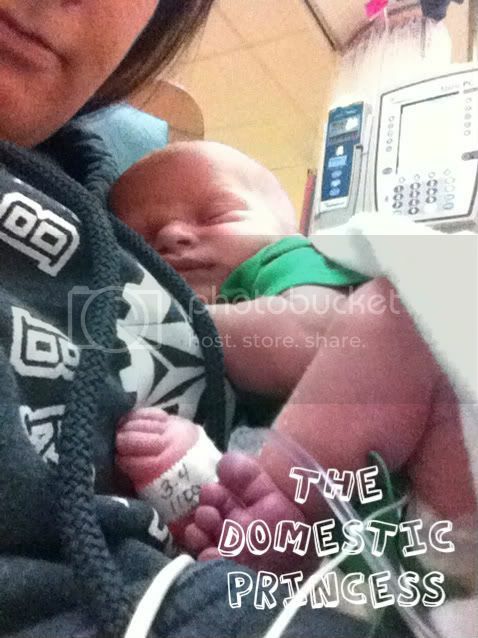 My heart breaks every day we have to leave the hospital and I usually cry the whole way home. Jackson is such a sweet baby. I can't wait to watch him grow up. I'm a very lucky Mommy to have him. Is he back at St. Ann's or still at Children's? Continued prayers that he gets to go home soon! We're still at Children's in downtown Columbus.